SunDown's puppies, sired by Robin, have champion filled pedigrees. What does this mean to you if you are looking for a purebred Labrador? It means you have made an educated decision to look for well-bred Labs that are bred from a heritage of Labs that have worked hard to earn titles in field trials, therapy, show or even Search and Rescue. Sundown and Robin both have many champions in thier pedigree. When you consciously choose an outstanding Lab you know all health testing has been performed and parents are clear of genetic diseases. You have the confidence that your hunting partner or best friend lives a good long healthy life. The 3 yellow males and 3 yellow females currently available are nothing short of spectacular. Both SunDown and Robire are OFA Good and PennHip tested 70% and 80% respectively better than all Labs tested (25,000). Both are clear of EIC, DM, CNM, CERF, PRA. 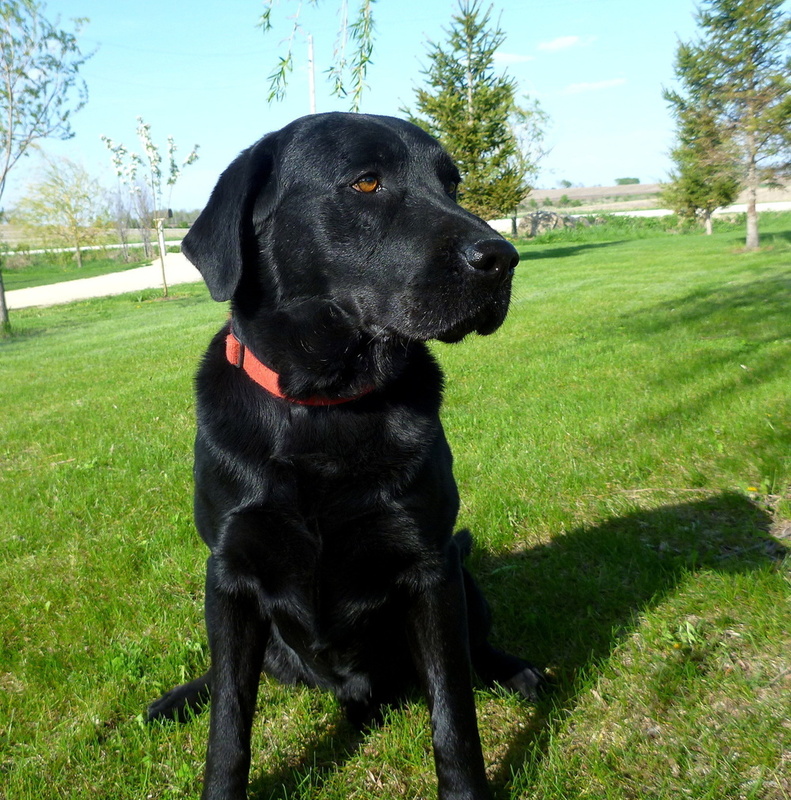 America's last dual champion Labrador "Hiwood Shadow" is in Robin's pedigree. We expect these puppies to have great temperament and high drive. Included with your puppy is your AKC registration (pre-paid by us), all age appropriate vaccinations, GPS trackable micro chip, Healthy Dog Start pack including food, treats, shampoo and all you need for a great start with your puppy. Puppies will be ready to go home August 20. Newer PostCurly Bill ~ Champagne Boy!